When I found I had been given the opportunity from Tyndale to read All the Pretty Things for review I was nearly beside myself. The previews and comments from other authors seemed surreal, and I knew that it would be difficult to read, given the hardships and poverty I knew existed in the Appalachians. 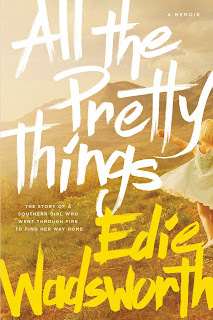 I was right, there was plenty of difficult situations that author Edie Wadsworth had to overcome, and overcome she did. I love a good memoir. After reading Emily Wierenga's book, Atlas Girl, I was hooked. I've always been a "real story" girl, not wanting the fiction of make believe things, but preferring the stories that happen in life - the struggles, the disasters, the tragedy and yes, real-life redemption. Even when they hurt, leave me with a heart broken up for the injustices in the world, or joyfully celebrating, I want to know those feelings because of real stuff that's happened. 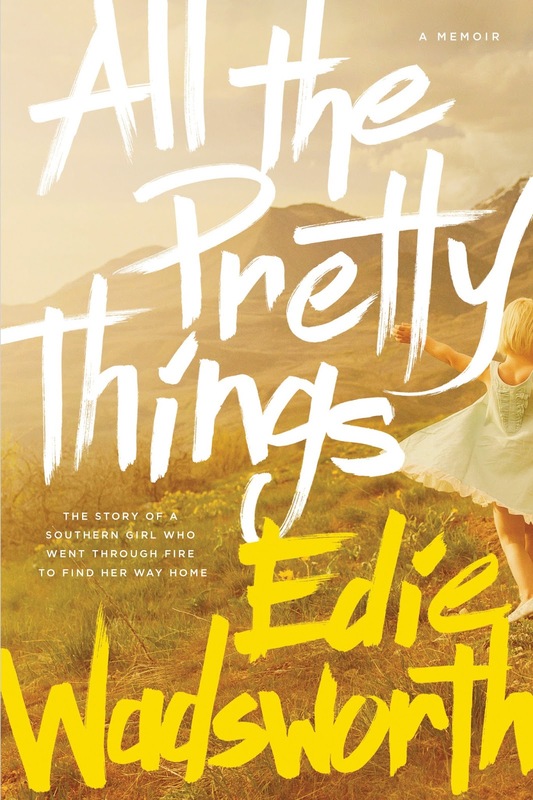 The realities that Edie had to deal with in her life were seemingly unavoidable, and her simple, child-like memories set the stage perfectly. I do not doubt that her life was THAT hard. I can not fathom living a childhood like hers, knowing that she has battled the demons that won for generations in her family. For her to have overcome her circumstances, own up for the demons she chose on her own as an adult, and banish them through her faith, provided a story of hope and determination. I can't express the intensity of this book, of her life. I had to make myself put it down, wanting to read it in one sitting. I'm glad that I broke it into a few day's read, as it gave me the chance to savor, contemplate, and appreciate all she was sharing. Her love/hate relationship with her alcoholic father was poignantly written. I appreciated her honesty as a child wanting to be loved and cherished and as an adult understanding addiction and human behavior. Anyone who thinks that their life circumstances will hold them back from achieving their dreams should read this book. Anyone who is in a difficult season of life would appreciate it. Anyone who is feeling sorry for themselves should read it, if for no other reason than to understand how so many people live today in our own country; that children still go to bed hungry. I highly recommend this book for reading, though I wouldn't think it appropriate for younger readers (senior high school kids may be able to handle the adult content, but not younger or tender hearted kids or adults).